As an organization doing our best to bridge the gap between the people of Greece, Italy and Portugal and the people of South Africa we are elated that our philosophy of inclusiveness is not only shared by others but that it is in fact widespread. 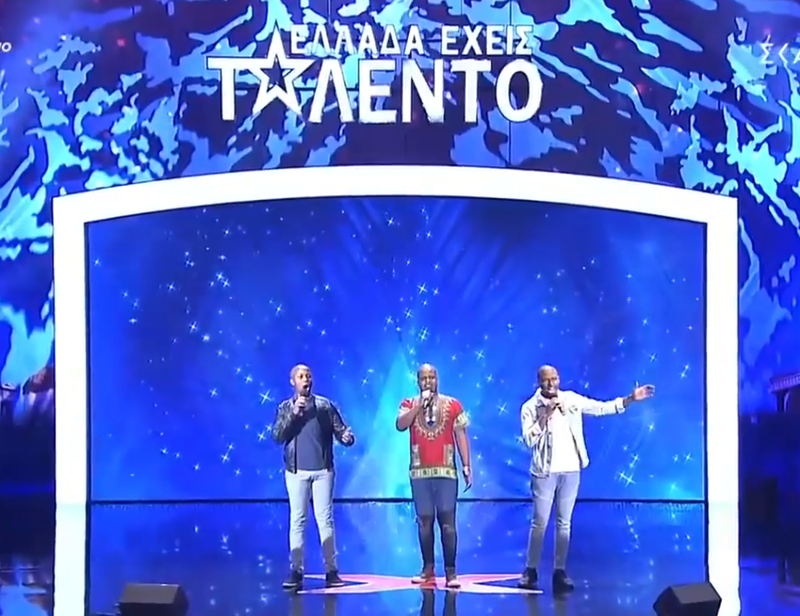 Three South Africans, Luvayo Situmane, Simangalo Thango and Sandile Sikhosana from Cape Town South Africa, who have been living and working in Greece for the past six months appeared this week in the show, “Greece Got Talent”. They sang a piece from the opera Turandot composed by Giacomo Puccini which was extremely well received. Not only by the judges, who gave them a standing ovation, but by the crowd as well. It was so well received that the trio, to the ecstatic chants of the audience, were awarded a golden buzzer which assures them a place in the semi-final of the competition. Judge, Sakis Tanimanidis stated that the show is called Greece got Talent and not Greek’s Got Talent, showing that the show is open to all visitors to the country. This statement affirmed the Greek view of foreigners to the country which is encapsulated in the word, “φιλοξενία” (filoxenia). This word, the linguistic embodiment of a tradition of hospitality and friendliness to foreigners which has existed within the country since time immemorial and directly in English translates to, “friend of the stranger” but which in practice is shown to mean so much more. The HIP Alliance sees perfect parallels between this view and the well-known and world famous South African tradition of Ubuntu which roughly translates to, “humanity towards others”. In practice both are essentially the same in their philosophies of equality, the cultivation of friendship and acceptance of others, regardless of race, gender, sexual orientation, creed, religion or any other factors. This link between, the mother of democracy and its youngest daughter as per the words of our first democratically elected President, Mr Nelson Mandela is truly heartening.We are proud of both South Africans and Greeks who work for democracy, multiculturalism and inclusiveness not only in their own countries but around the world. We wish these talented individuals all the best with their progress through the competition and we know that whether they win or lose, we have all been enriched by their story.